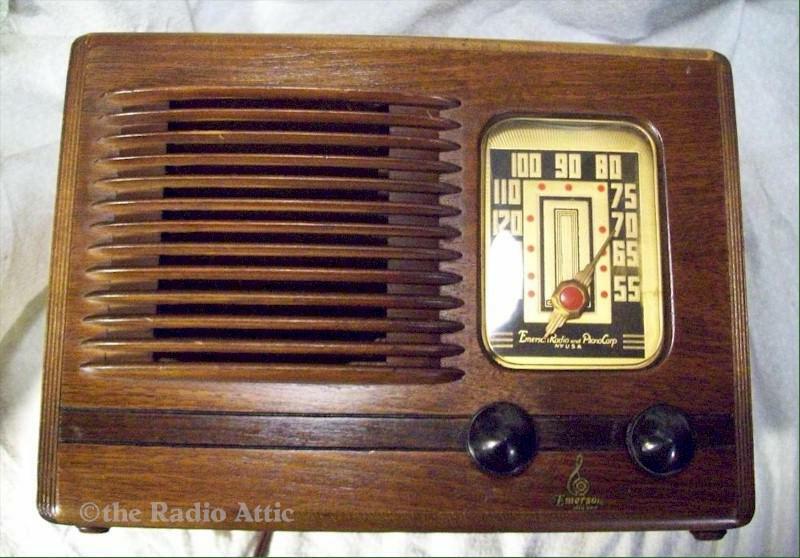 Very nice original wood case five-tube radio, broadcast band. All new capacitors, tubes checked, new dial lamp, cleaned aligned. Excellent volume. Speaker cone is fine. It is a pretty set with gold, black, and red highlights on the dial. Plastic window is clear and not distorted. Very handsome set. You are visitor number 2,508 to this page.